Many young children visit Drift Creek Camp during Parent and Me camps, family reunions and church retreats. The Nature Center would like to promote the development of a collection of high quality books promoting the appreciation for and care of God’s creation consistent with the mission of Drift Creek Camp. The books in this list have been recommended by teachers, parents and grandparents. The Drift Creek Nature Guide is a 30 page document with photographs and descriptions of the native plants found at Drift Creek Camp. It was produced by Kenton Brubaker, P.H.D. retired professor of Biology from Eastern Mennonite University. 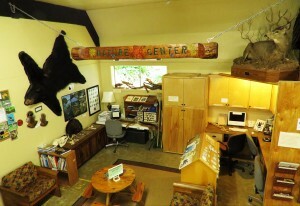 Our collection of Table Top books have been donated to Drift Creek Nature Center for the reading pleasure of our guests. This is the current list in the collection. We have collected this extensive library of field guides in our Nature Information Center for you to use during your visit to Drift Creek Camp. We have the equipment in this list for your use when you visit Drift Creek Nature Center. 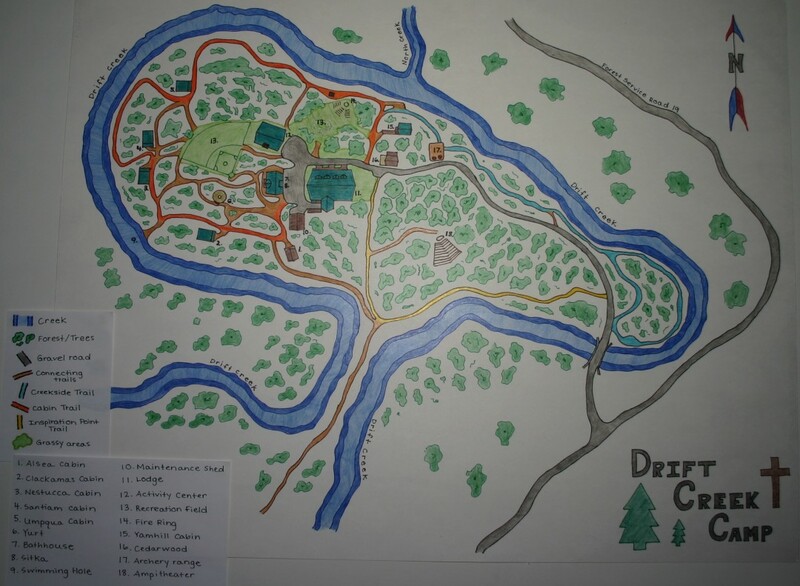 We have this collection of Nature Lessons created specifically designed for the unique setting of Drift Creek Camp. This database displays the multimedia resources we have in the Nature Information Center. We have a 32″ LCD TV with VCR and DVD players for showing these resources. We have laminated copies of this Trail Map for the frequently used trails on the Drift Creek Camp property.